18 March 2014 - It’s easy to see why Angela caused such a stir across the pond; she was born to play Madame Arcati! 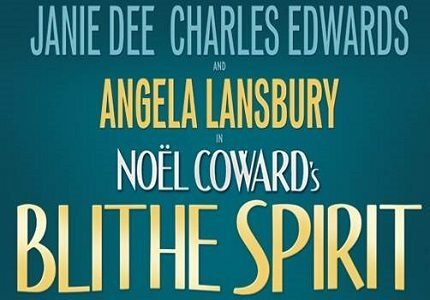 Television and theatre veteran, Angela Lansbury reprises her role as clairvoyant Madame Arcanti in Noel Coward’s Blithe Spirit. Having played the character on Broadway in 2009, Lansbury won a much coveted Tony Award for her portrayal of the psychic. 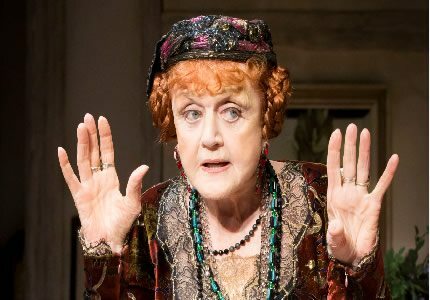 Over four years later and at the ripe old age of 88, Lansbury brings the role to the West End after over 30 years away from the London Stage. 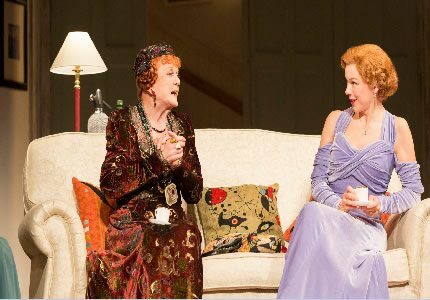 Blithe Spirit is a comic play about a socialite playwright, Charles Condomine, who wishes to learn more about the occult in order to wrote his latest novel. Through his efforts he invites eccentric medium, Madame Arcati, to his house to conduct séance. Madame Arcati goes about her work in front of Charles and his new wife, Ruth. Unfortunately the medium manages to accidentally summon Charles’s first wife, Elvira, who has been dead for some years. Unaware of her mistake, the clairvoyant finishes her séance and leaves the Condomine house, leaving an unwanted guest behind her; the jealous ghost of Elvira. The late Mrs Condomine is hell bent on destroying her husband’s current marriage, much to the dismay of new wife Ruth/ It is safe to say chaos ensues. This revival production of The Blithe Spirit is directed by Michael Blakemore and will co star Charles Edwards and Janine Dee.